What are the advantages of using PsychoPy for making an experiment (beyond the fact that it is free and open source)? I do not use psychophysics stimuli (no Gabor for instance); my stimuli are static images or text. Compared to E-Prime for example, how easy is it to set up a basic RT experiment? I highly recommend PsychoPy over E-prime. Why? Keeping track of who has the e-prime dongle is annoying. Students learn it more easily (see data below). E-prime uses visual basic (boo) and PsychoPy uses Python (yay!). 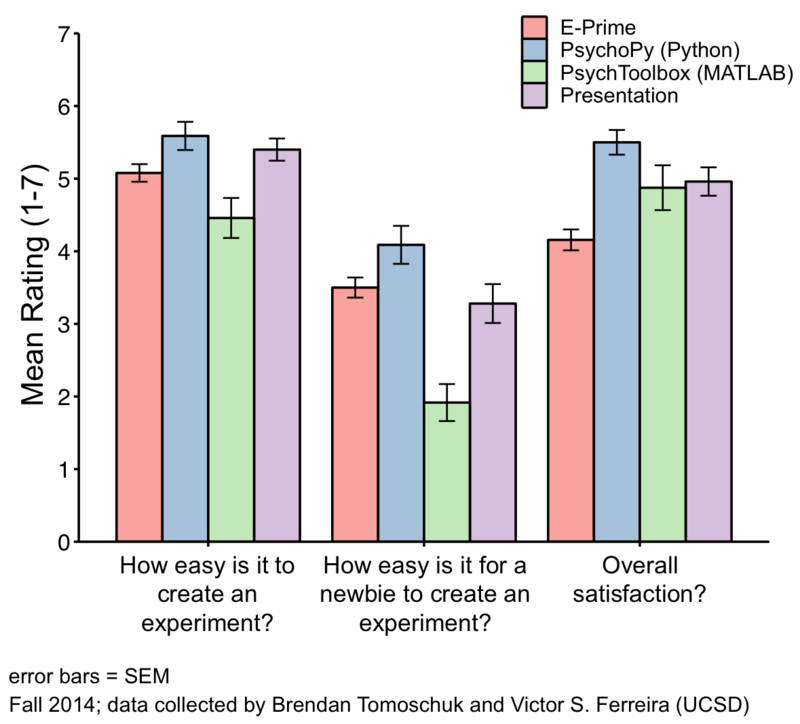 PsychoPy easily integrates with R, matlab, and HTML. Everyone is doing it... (see data). Some folks at UCSD did a survey in summer/fall 2014 asking researchers for their opinions. Here is a summary of the findings. Not the answer you're looking for? Browse other questions tagged decision-making software or ask your own question.